Let's go over them in detail. The Pixel Information section contains a quick reference about using pixels when setting up your campaigns. For a more in depth look at pixel information click here to read our in-depth guide to using pixels. 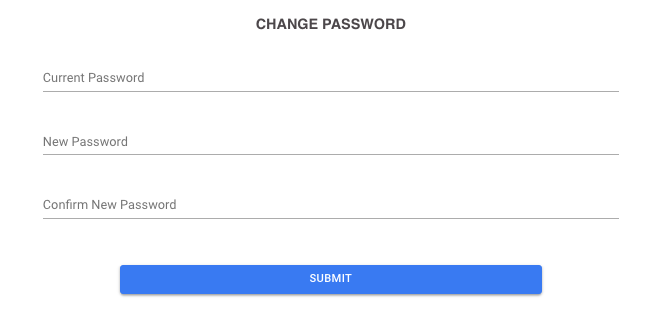 The User Settings option has two sub items: Change Password and User Preferences. After changing your password, you will be logged out and redirected to the Maximus Login page. 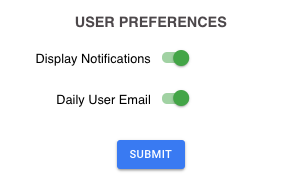 The User Preferences selections allow you to enable or disable Display Notifications and Daily User Emails. Click here to read more about Display Notifications, and click here to read more about Daily User Emails. Sub Users are accounts that belong under your user log in. By adding a sub user, you allow other people on your team or in your company to log into Maximus with their own email address and password. These users will have access to all of your campaigns and can manage them, which is useful for giving Junior Media Buyers the ability to work on your campaigns. 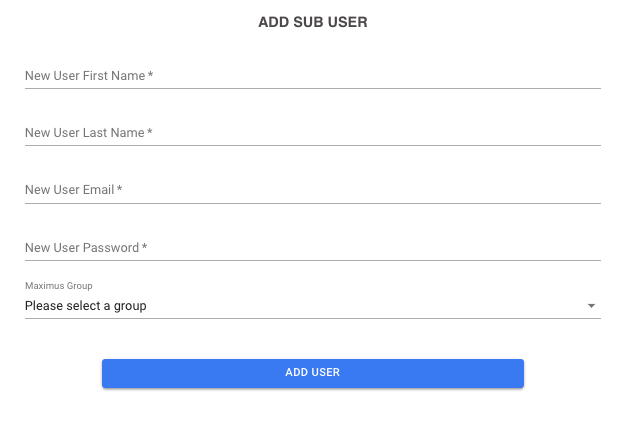 Click here to read more about Sub Users and how to add them. Fire & Forget™ Presets let you modify Fire & Forget™ settings and save and edit them to apply to campaigns during the Add Campaign process and also on the Campaign Details page. Click here to learn more about Fire & Forget™ Presets. From the Settings page you can add conversions that you see in your external system but Maximus has not tracked. If you see more than a few conversions not tracking in Maximus, please reach out to our LiveChat support team for assistance. Enter in the Click Id for the conversion. Enter in the Payout in USD. 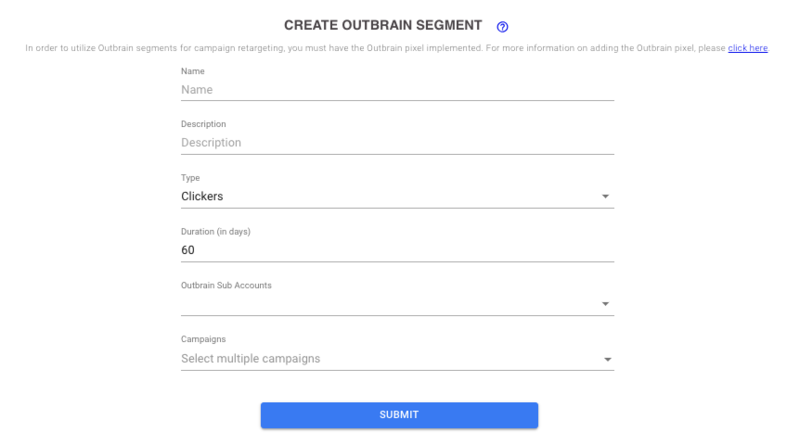 From this option you can create segments to use with your Outbrain campaigns. Select from multiple campaigns or a single campaign users who have completed a certain action, like clickers. For more information on creating Outbrain segments, click here. You can view the segments you have created and sort through them on this page. The far right column Edit allows you to edit the segment which will allow you to edit the Name and Description of the segment. Click here to learn more about Outbrain segments. 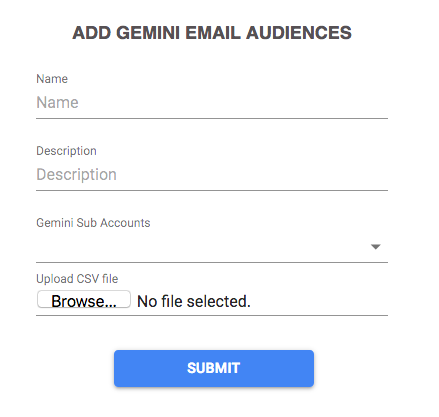 Gemini Email Audiences let you target a CSV list of users on your Gemini campaigns. To learn more about adding these audiences, click here. 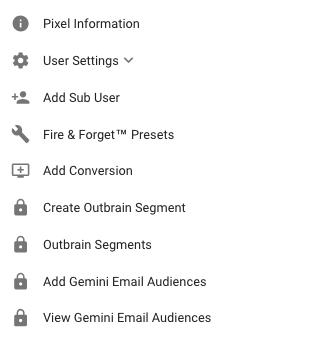 You can view and update your Gemini Email Audiences from this settings section. Click here to learn more about Gemini Email Audiences.